Guess what? Teh Tarik Session with Industry is BACK! 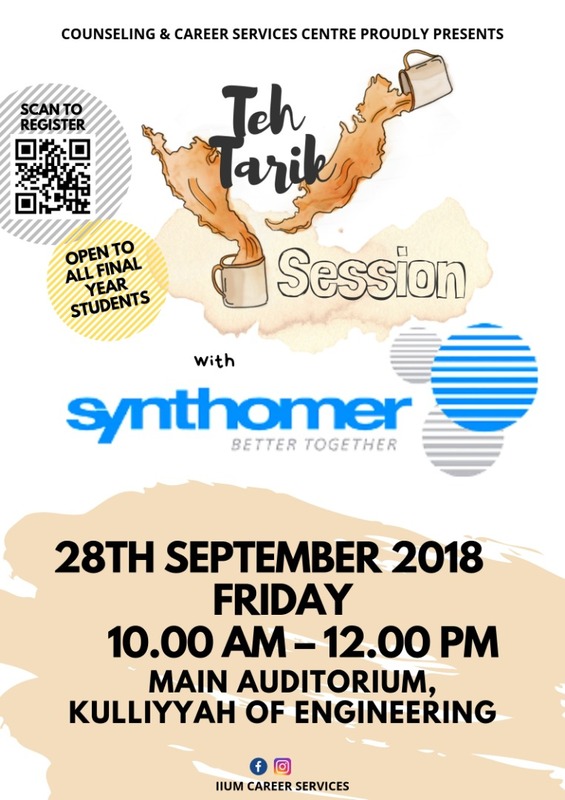 This time around, Synthomer Sdn Bhd will come to IIUM and spend their time with you guys! Aren't you guys excited?